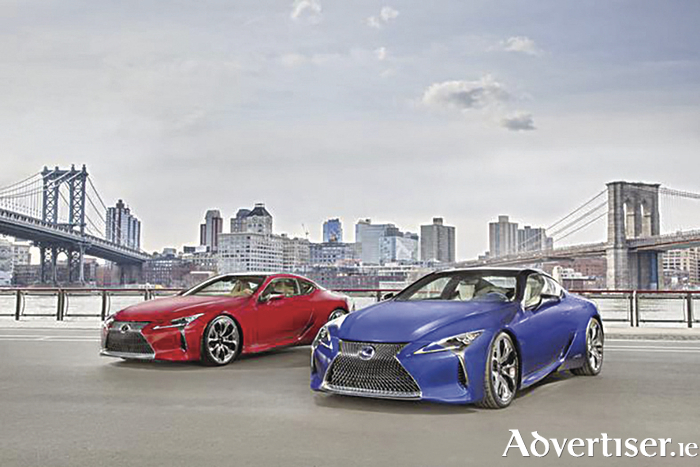 The Lexus LC luxury coupe has been named 2016’s Production Car Design of the Year, an honour bestowed by a 20-strong judging panel featuring some of the world’s top car designers. The peer-reviewed award was presented at a gala ceremony in Geneva earlier this month. It is also featured in the Car Design Review 4 yearbook, which was launched the same night. Car Design Review 4’s editor Guy Bird said: “It was great to see the fantastic LF-LC concept faithfully translated into the beautiful LC production car with so little compromise. This is a rare thing in the automotive industry and should be celebrated. Tadao Mori, chief designer of the Lexus LC, said: “This was one of the first times for Lexus that designers were closely involved in the dynamic engineering development, so we could understand the driving goals and support them with the car’s design. The Car Design of the Year awards are organised by the team behind the Car Design News website. Their special quality is distinguished by the fact the judging panel is made up of some of the world’s top car designers, together with leaders of major international automotive suppliers and universities. In order to select the 2016 Production Car Design of the Year, judges named their top three choices from a 12-strong shortlist compiled by Car Design News’ editorial staff.